A bill that would provide temporary credentialing for military spouses was amended March 23 to become an omnibus health care licensure bill. 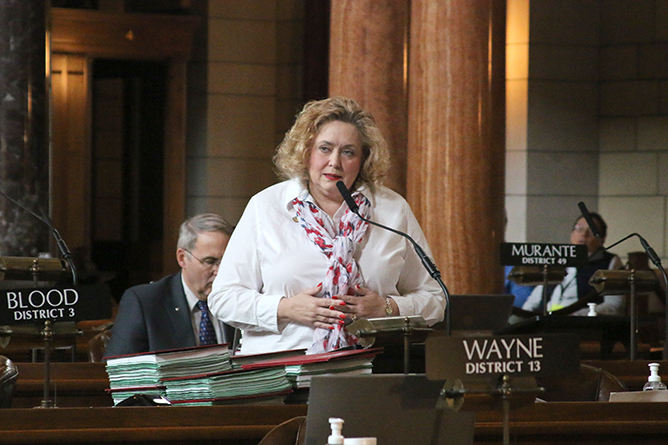 LB88, introduced by Bellevue Sen. Carol Blood, would allow military spouses – defined as the spouse of an officer or enlisted person on active duty in the U.S. armed forces – to obtain temporary licensure in Nebraska in a variety of health professions under the Uniform Credentialing Act. As introduced, the bill would require a qualified individual to hold a similar and valid credential from another jurisdiction and a temporary license would be valid for six months and could not be renewed. A Health and Human Services Committee amendment, adopted 37-0, clarified that the bill would not apply to licensure to practice dentistry. The amendment also replaced the six-month duration with a provision that a temporary license would be valid for one year or until the application for a regular credential is approved or rejected. Blood said the bill deals with over 30 professions, including several that the state faces a shortage of, such as mental and behavioral health professionals. The licensure process can be lengthy and expensive, she said, and Nebraska should encourage individuals who already are licensed elsewhere to practice while they pursue licensure here. “[The bill] would remove hurdles many military spouses encounter when they transfer to the great state of Nebraska,” Blood said, adding that it is important for Nebraska to continue to strongly identify as a military friendly state. Ralston Sen. Merv Riepe, chairperson of the Health and Human Services Committee, offered an amendment that incorporated provisions of four additional licensure-related bills. LB61, introduced by Seward Sen. Mark Kolterman, would authorize Nebraska to join the Interstate Medical Licensure Compact. Through the compact, a physician licensed in a member state who meets eligibility requirements can receive an expedited license in another member state. Kolterman said 18 states have passed legislation to join the compact, including all of Nebraska’s neighbors except Missouri. “These Midwestern states see this as an opportunity to expand our health care workforce by streamlining licensure while still maintaining our Medical Licensure Practice Act,” he said. LB342, introduced by Bayard Sen. Steve Erdman, would amend portions of the state’s Nurse Practice Act to allow Nebraska to join the Enhanced Nurse Licensure Compact when it takes effect — either on Dec. 31, 2018, or when 26 states have joined. Nebraska currently is a member of the Nurse Licensure Compact, which allows nurses to have a multistate license with the ability to practice in both their home state and other compact states. Erdman said 25 states currently have enacted legislation to join the enhanced compact and Nebraska needs to update its Nurse Practice Act in order not to be left behind when the new compact takes effect. “This will allow Nebraska to reduce the nurse shortage and allow spouses of people who move here to get licensed and practice here,” Erdman said. LB283, introduced by Riepe, would allow licensed practical nurses (LPNs) to provide intravenous (IV) therapy and would eliminate the Licensed Practical Nurse-Certified (LPN-C) Practice Act. Riepe said the goal of the proposal is to integrate current LPN-C requirements into the state’s LPN requirements, eliminating the need for a separate practice act for the former. Under the bill, an LPN could provide IV therapy if he or she holds a valid license issued by the state Department of Health and Human Services before May 1, 2016, under the Licensed Practical Nurse-Certified Practice Act as it existed at that time. An LPN also would qualify if he or she graduated from an approved practical nursing program on or before May 1, 2016, and completes, within five years of the bill’s operative date, an eight-hour didactic course in IV therapy and an approved employer-specific IV therapy skills course. Finally, LB425, introduced by Bellevue Sen. Sue Crawford, would update provisions for licensure and practice requirements within the current Nurse Practitioner Practice Act. The Legislature passed a bill in 2015 that removed a requirement for an integrated practice agreement between a nurse practitioner and a collaborating physician and replaced it with a transition to practice agreement. Crawford said technical changes are required to allow the nurse practitioners’ governing board to promulgate rules and regulations to implement the Legislature’s previous changes. Speaking in favor of all of the bills included in the amendment, she said the provisions would be an important step forward for health licensure in the state. 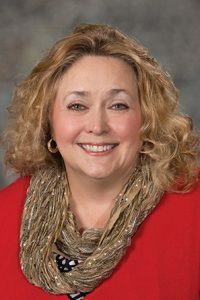 “[This is a] package of bills that were important to the committee in terms of addressing this issue that’s critical for our health workforce in our state and our economic development – to make sure that our licensure laws work well and that we get people up and credentialed as quickly and efficiently as possible while still protecting the public interest,” she said. LB88 advanced to select file on a 37-0 vote.